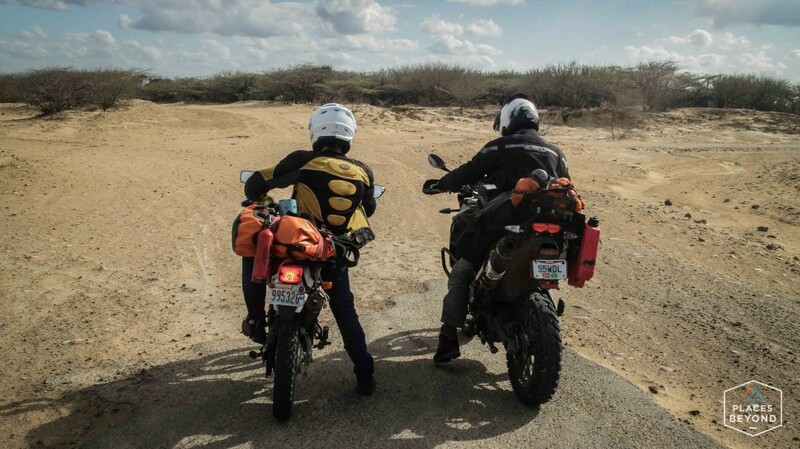 Getting local advice on places to travel to hasn’t let me down yet so when a Colombian recommended riding through a desert to the northern most point of South America, I immediately started planning how to get there. 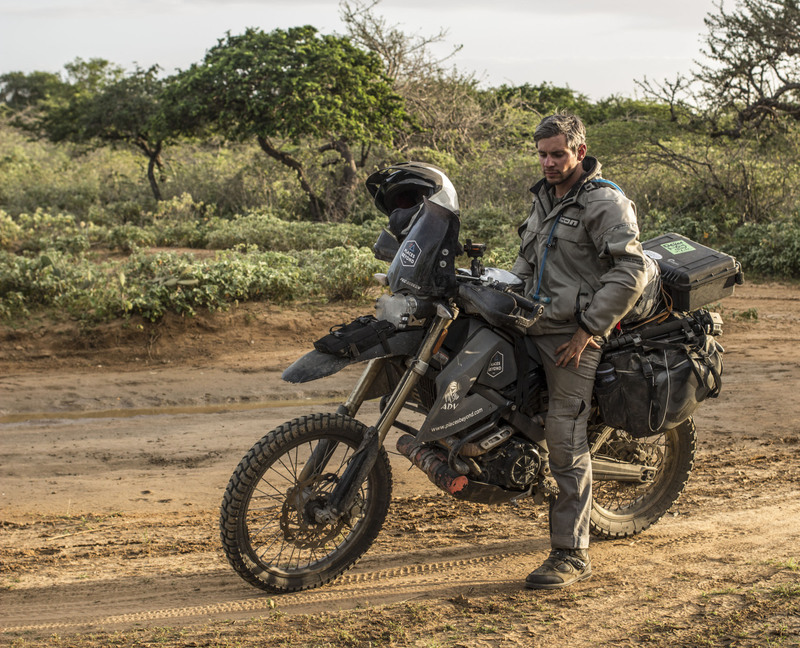 I could only find two other blog posts of motorcyclists that have ridden to Punta Gallinas and they said the same thing.  Lots of sand, easy to get lost but friendly people to help point the way, beautiful landscapes, and almost no one else there. I told a few other riders that crossed on the Stahlratte with me about the idea. Matt and Greg looked at one photo and said yes. 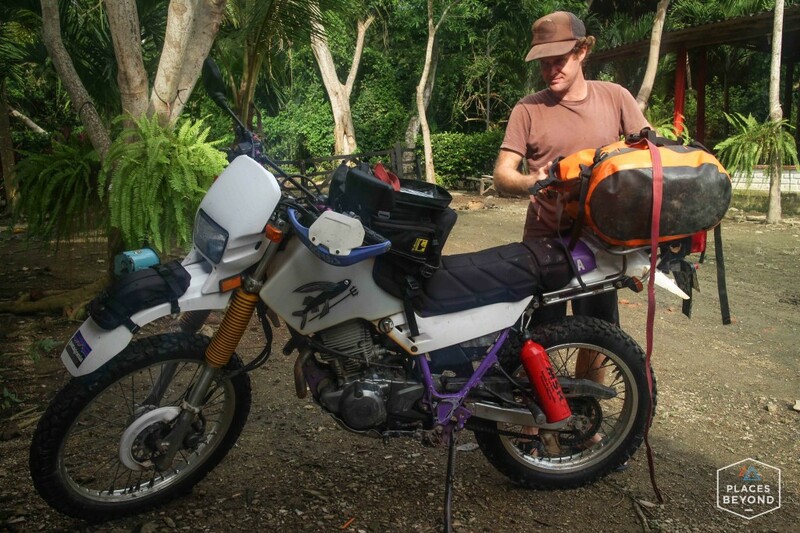 After spending a couple days at the finca with Daniel and his family, we loaded up our bikes with just the essentials that we’d need for the trip. We wanted to ride as light as possible since we heard the riding would be challenging. 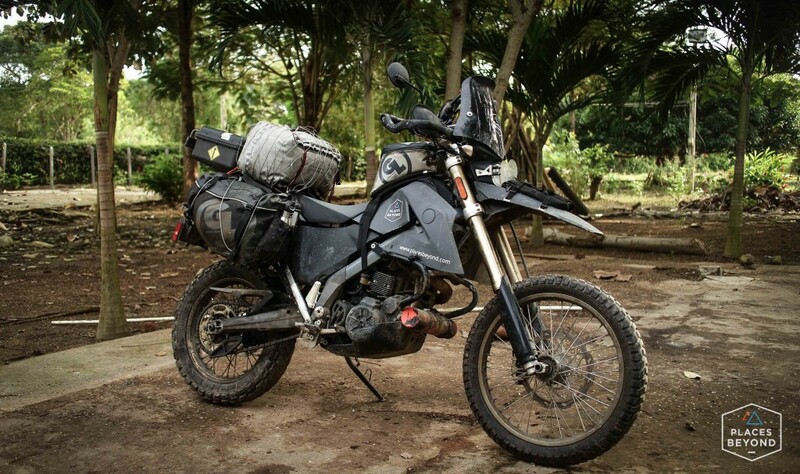 We packed up and headed up the coast to Riohacha. 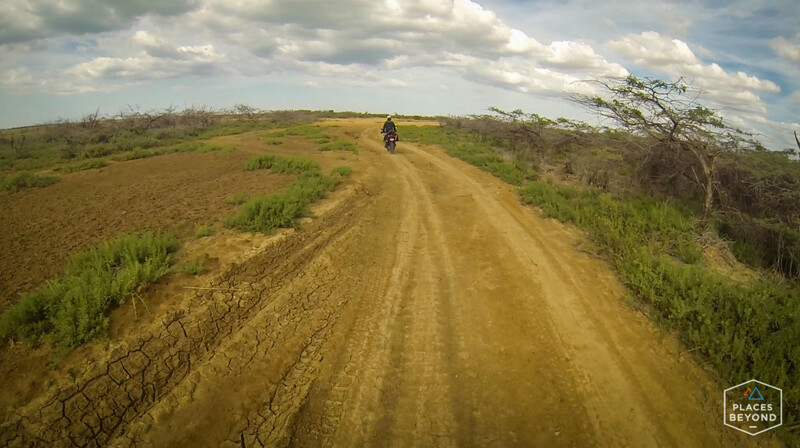 From Riohacha we wanted to ride all the way to Punta Gallinas off road. 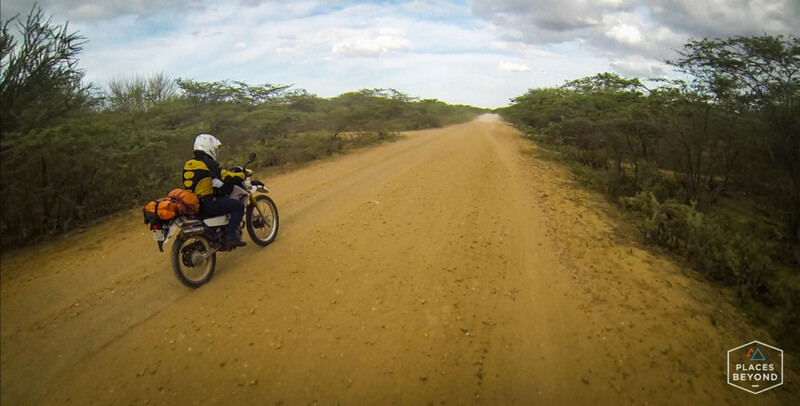 Once we left Riohacha the road wasn’t on our GPS anymore. The pavement ended and after a few miles on dirt we came around a corner and were stopped in our tracks. A river was blocking our way. So that’s what they meant by seasonal road. 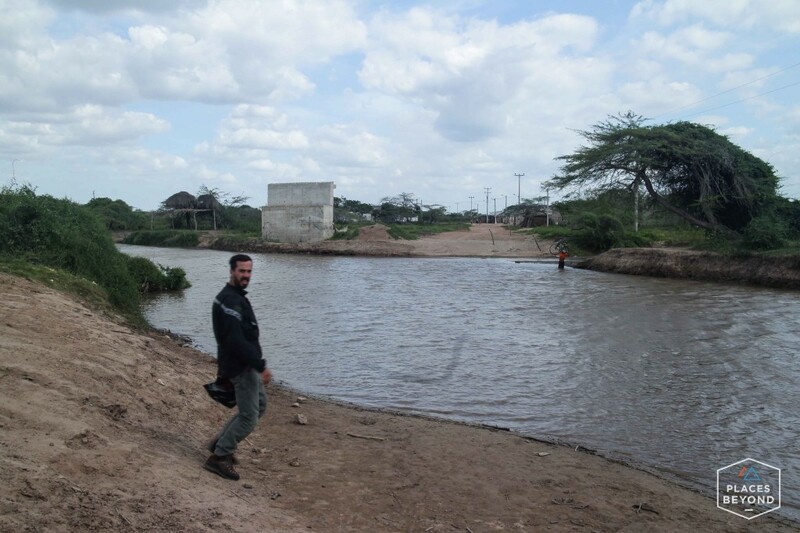 We watched a guy cross while carrying his bicycle and the middle of the river was up to his shoulders. Much too high for our bikes. We turned around and found another route. 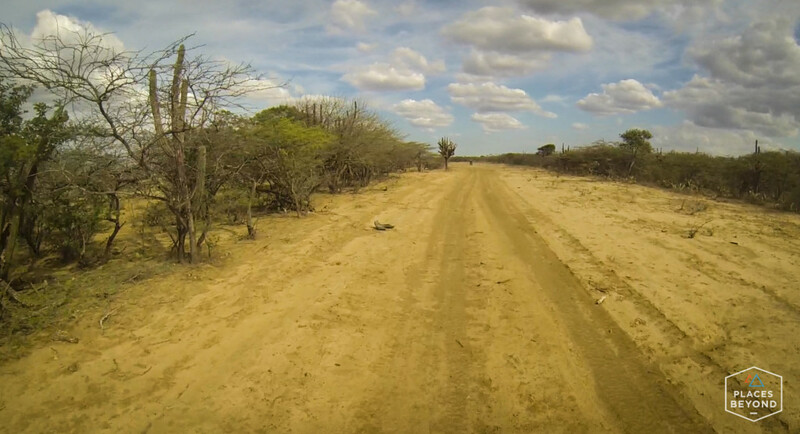 We followed the dirt road heading north passing small villages along the way. Some stretches of the road were nothing but ruts 2 feet deep. 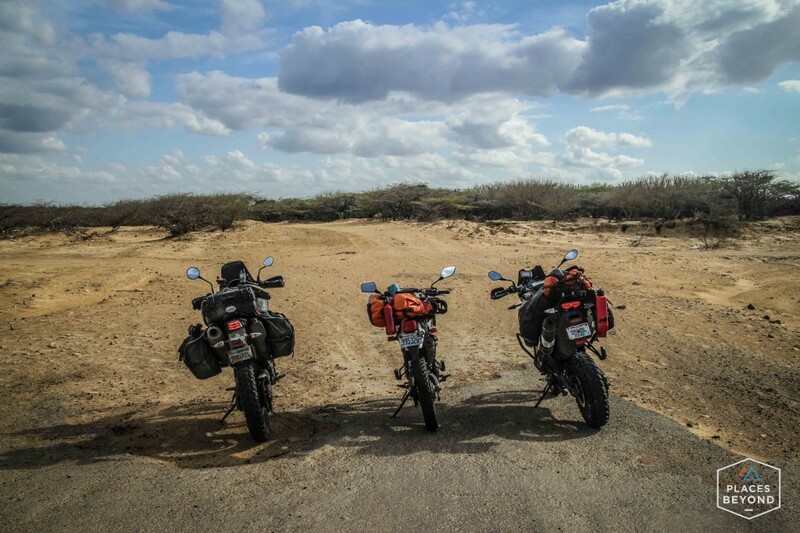 After a couple hours of riding we came around another corner and halfway through it turned to deep sand. Down I went. The only car I saw on the whole road just happened to be a minute behind me so I quickly picked the bike up so they could pass. The road turned back into dirt and I was enjoying riding as the sun was setting. There’s nothing out here except cactus and some trees and bushes. The trail weaved through the trees and I had to duck low to not hit my head on the branches. On one of the trees I didn’t get low enough and the tree branch ripped my GoPro and mount off my helmet. So much for recording all of the riding. I left my spare mounts back at the house. Further along, the road turned back to deep sand. I ran through my checklist of what I’d learn about riding in sand at last years ADV Rider Rally in Death Valley. Weight back, relax on the handlebars, steer with your weight on the foot pegs, and hit the throttle. The back tire was sliding back and forth as I was cruising along. It’s one of the worst feelings when you’re not used to it. The control I have on the pavement is gone. I was making good progress through the tracked sandy trail until my front wheel dug into the deep sand and the bike went down. I guess one nice thing about going down in the sand is it’s a lot more soft than another surface. 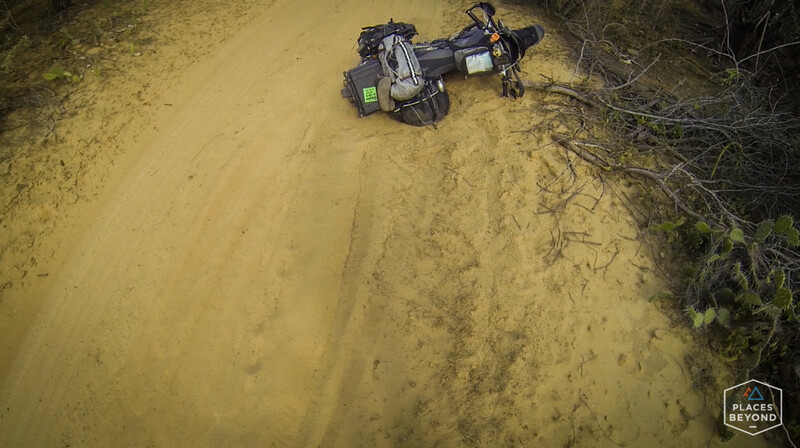 I was moving along at a good speed when I lost control and the bike slid into the sand hard. My body fell forward and my shoulder went right into my left mirror, breaking it at the mount. I got up and picked the bike up. My other mirror was laying on the ground, it’s supposed to be a flexible one but I guess the sand was too much for it. The way the bike went down, the right saddle bag hit the sand with a lot of force and the loop for the mounting strap broke. I had a small clip that could replace the broken plastic loop and I put that on. I put my mirrors in my bag and kept riding. I was wiped out at this point and the sun would soon be setting. A short way up the trail we saw a clearing with two huts and some goats. Matt walked over the ask if we could camp on their property for the night.  The man didn’t speak Spanish as we were now in La Guajira, the area mostly inhabited by the indigenous Wayuu people. Lucky someone there did speak spanish and they said we were welcome to stay the night. As the sun was setting, we set up our campsite for the night. Matt has a Hennessey Hammock which sets up in a minute. He was mocking Greg and I as we put our tents up and had to blow up our sleeping pads. With the sun down, the sky turned dark but not for long as it was almost a full moon. 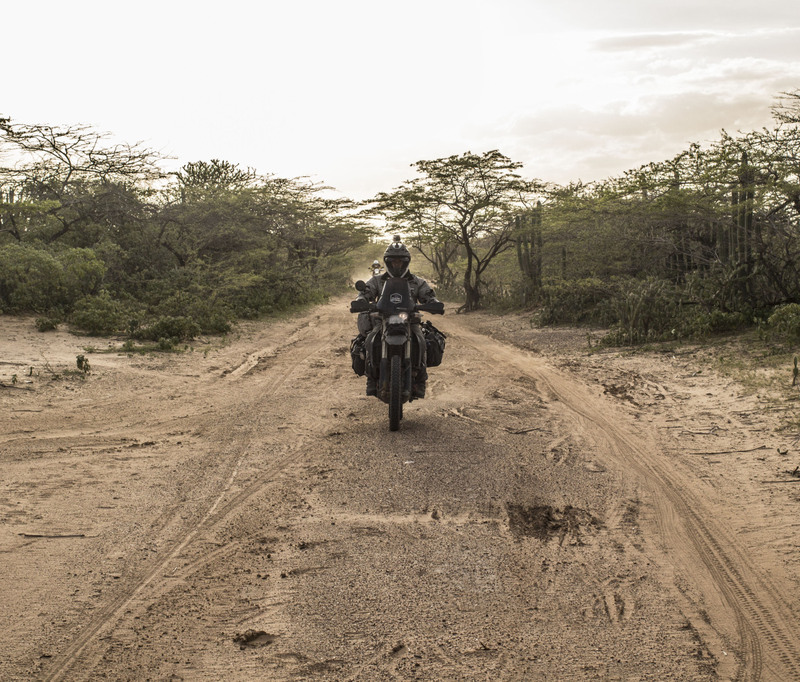 We’re only halfway to Punta Gallinas. More to come in the next post! One more photo that Greg Davis captured. 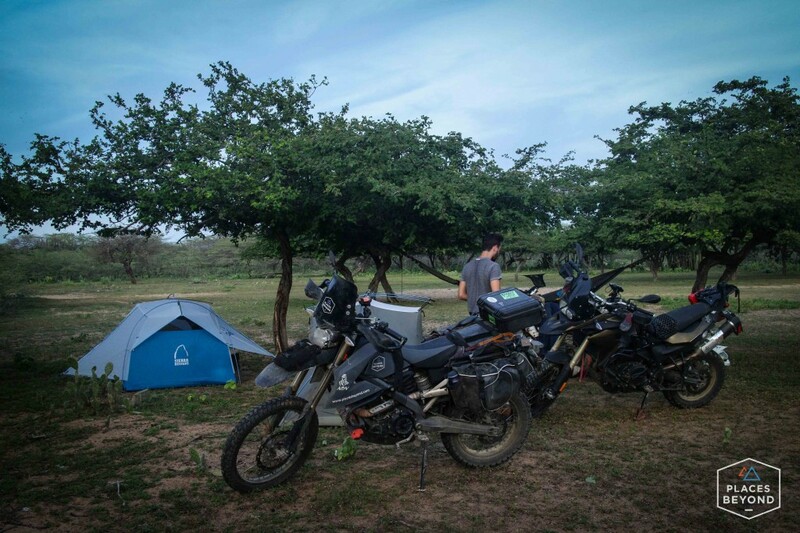 Camp spot on a Wayuu farm. Photo by Greg Davis. Nice post, Dan! Sounds like some rough terrain. Just be glad you are doing this now when motorcycle manufactures put a nice pad on the gas tank. It’s truly a miracle that any dirt bike rider from the seventies could actually father children.